Pacemakers and defibrillators are designed to restore or maintain a rhythm and rate sufficient to meet metabolic needs, i.e. TO KEEP PEOPLE ALIVE. Instead of dying from heart rhythm problems, these patients are now living long enough to be affected by other life-threatening illnesses such as cancer, lung disease and heart failure. To provide appropriate support to their patients, all cardiac physiologists need a basic knowledge, and the ability to facilitate appropriate conversations about palliative care issues. The first successful transcutaneous aortic valve implantation was performed at Holy Spirit Northside Hospital by Dr’s Con Aroney and Darren Walters in October 2015. This procedure is now available for patients considered at high risk for open aortic valve replacement, e.g. Octogenarian’s and patients with previous open heart surgery or with lung disease. Patients will require a work up prior to submission to the Heart Valve team at the hospital for selection for this procedure. "I recommend a long‐term Mediterranean Diet, along with added nuts but low in added sugar and salt. This diet has been shown in recent large scale clinical trials to reduce the risk of heart attack, stroke and cardiovascular death, and along with regular exercise reduces weight and the risk of developing diabetes." Read more . . .
"Food for the Heart and Words for the Mind" was held on the 6th September at the Education Centre, Holy Spirit Northside Hospital. 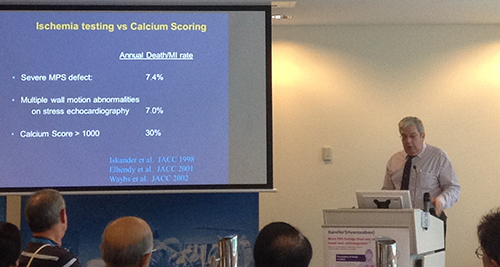 Doctors from Queensland Cardiology spoke throughout the Seminar on a vast range of subjects dealing with health and heart care. 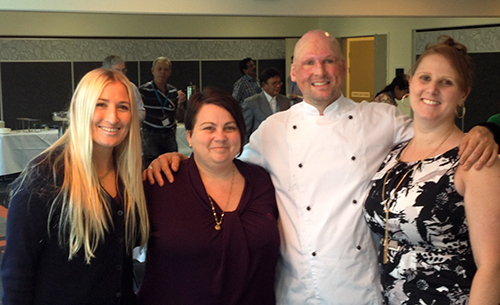 Celebrity guest chef Matt Golinski provided a heart healthy meal demonstration of Spiced Black Kingfish. 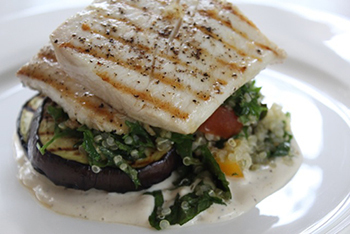 See Matt's delicious recipe for Spiced Black Kingfish.